This charming 2 bedroom apartment features newly refurbished parquet flooring, large bright windows, a galley kitchen with a new fridge and stove, ample closet space, and a private balcony overlooking the tranquil Speed River. Located in a quiet residential neighbourhood and situated on the beautiful banks of Speed River, next to popular Royal City Park, this building offers the best of nature and city living. Its serene, park-like setting and access to walking trails are second to none, yet it is within walking distance of downtown Guelph and a myriad of amenities including shops, restaurants, and services. 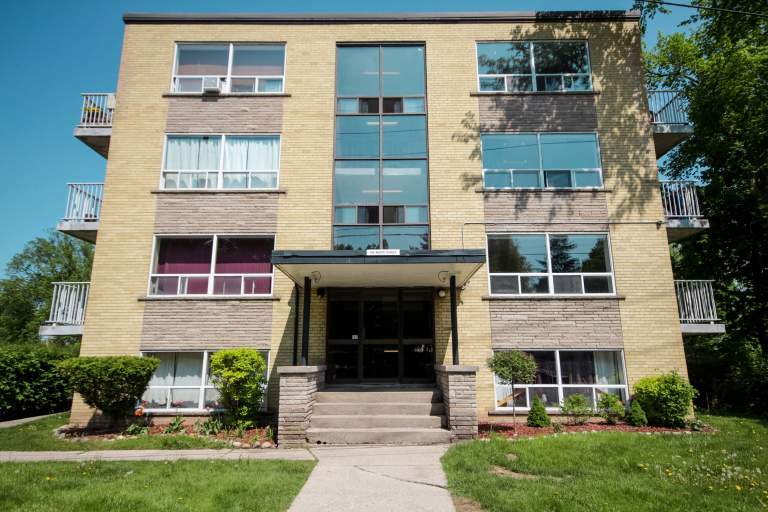 Transit options are plentiful, it is also within walking distance of the Guelph Central Go station. Laundry is available in the building. Rent includes heat and one parking space. Don't let this gem slip away! Call Lorrie now at 519-546-3105 to book a private viewing.